After the destruction caused to the Dagapela dzong by an earthquake, the people of the dzongkhag eagerly awaited completion of renovation works on the dzong. The renovation which started in 2009 was slated for a June 2013 deadline by the people and officials who took a most keen initiative to renovate and restore Dagapela dzong to its glorious past. The dzong is among one of the oldest dzongs in Bhutan. The project engineer of the Dzongkhag, Namgay Dorji, said “We had a hard time for the renovation as we had to shift all the Dzongkhag administrative offices like the Dzongkhag office, culture office, Kidu office, District statistics office and the legal office which all got shifted into the drasha (monks’ dormitories)”. However, even in the midst of hard times to shift the places people took solace in the fact that, ‘at least the dzong will be renovated’. Presently and since the start of works, the officials and all the people of the different gewogs communicated most effectively among each other for the renovation. “Even the problems we had before, about the drainage problem is being looked after very well by us,” said project engineer Namgay. “Later on we should not get any complaints from the high officials and the public. 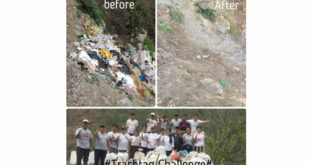 It is also a religious work that will account for good deeds to earn good merits,” said Namgay. Tshewang Norbu, a resident of Dagapela said, “I am very pleased to see that the dzong is being renovated again because it was very distressing to see our dzong with all the cracks on its walls and the woods of the dzong in a rotten situation due to the earthquake. Now the government has taken a good step forward to renovate the dzong once again”. 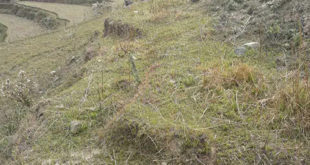 Purni Maya, 66 who is an old resident of Dagapela said, “It was very heartbreaking for me to see the dzong in such a bad condition as we grew up here seeing the dzong. With an earthquake the dzong got badly destroyed but now at least I am happy to see that the government has taken steps to renovate the dzong and I am thankful to the government”. Is it Dagana Dzong or Dagapela Dzong? I have not seen any such within the vicinity of Dagapela? i doubt that the reporter must be referred as Dagana and not Dagapela, that needs to be corrected at the earliest to avoid misinformation. 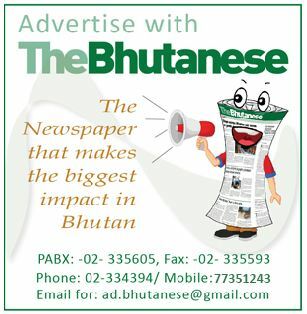 Too many silly errors…may be caused by semi-literate or baby reporters…most don’t know the geography of Bhutan.